High Court judge Mr Justice Mostyn allowed the claim in the case of RF v Secretary of State for Work and Pensions. 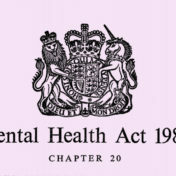 The case was brought by a Disabled person with mental health support needs to challenge the changes the government made to Personal Independence Payment Regulations in March 2017. The government’s current approach seems to stem from a continued emphasis on the medical model (a continuing emphasis on NHS services). Take action with a sample letter to your MP. A post from the National Survivor User Network. 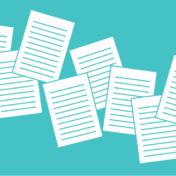 The policy papers and briefings we produced this year. 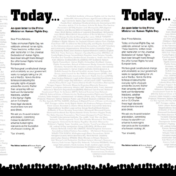 On #HumanRightsDay Inclusion London stood with 140+ groups asking the Prime Minister to safeguard human rights today, during & after Brexit. 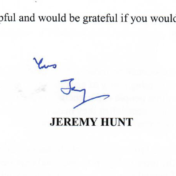 We have now received a letter in response to our concerns from the Secretary of State for Health, Jeremy Hunt. As requested by the Secretary of State we are sharing this letter with all co-signatories. We will be monitoring how the review takes place and supporting Deaf and Disabled People’s Organisations to respond. 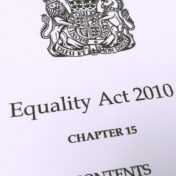 The implementation of Section 1 of the Equality Act 2010 would add an important protection against further regression of Disabled people’s rights. Urge your MP to support the commencement and enforcement of the Socio-Economic Duty. 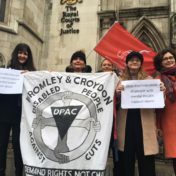 Current independent living campaigns need to consider refocusing their messages to capture what has become a central issue, the increasing threat of institutionalisation for anyone needing care; we must not only be critical of cuts to services but also the availability of institutionalised services. Guest blog from Simone Aspis.